Preheat the oven to 375F. Lightly grease a muffin tin. In a medium bowl, combine together flour, baking soda, salt and orange zest. In a large bowl, combine the sugar, milk, oil, vinegar, and orange juice; mix well. Add the dry ingredients to the wet ingredients, stir until just combined. Don’t over stir. Gently fold in the berries using a rubber spatula. Fill the muffin tins about 2/3rds full. Bake until a wooden skewer inserted into the center comes out clean, about 20 to 25 minutes. Remove from the oven and let it cool in the pan for 5 minutes, then remove muffins from the pan and cool for an additional 10 minutes on a wire rack. This a great recipe. I did not have orange juice so I sub it for orange extract which put an extra splash of orange. That sounds like a great substitute. 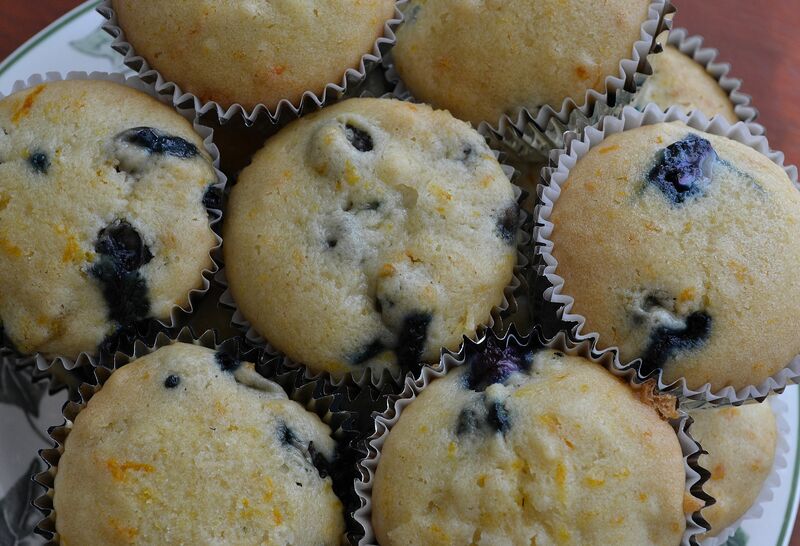 The zest and OJ are there to give the muffins a citrusy flavor – and I imagine orange extract will do the same in a pinch. Thanks for the feedback!